HJ: Bliss is your natural state of being. 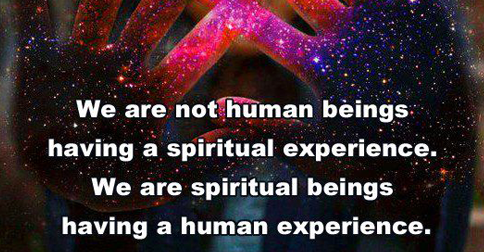 Such is the nature of humankind that we have largely been disconnected from that state, but through healing of the body, mind and spirit, we can once again return to that level of conscious experience. Todays article is all about getting you back to a state of bliss. Enjoy. One element that is often overlooked in our search for happiness is the physical experience of our feelings. The body is the vessel through which we experience life; it’s the lens, the conduit, the vehicle through which everything else is made possible. All of our experiences go through the tool of the body. In essence, our physical experience of our feelings is our experience of life. Today, toxins are also commonly found in our water supply, are ingested through processed foods and produce treated with agricultural chemicals. We also absorb toxins through our largest organ – the skin – from cleaning products, as well as our increasingly poisoned natural environment. Toxic chemicals likefluoride form a calcified layer around the pineal gland, which regulates your inner clock and sleep cycles, works with your adrenal glands to handle stress, feeds the thymus gland, and communicates with the rest of the endocrine system. All other glands in the body (thyroid, adrenals, prostate etc.) are also severely under attack by radiation, as well as vaccinations (which contain heavy metals and other toxic elements) and toxins inherent in GMO agriculture.